How can I control my central heating? You can remotely control your central heating boiler using the LightwaveRF Boiler Switch (LW920). This always needs to be wirelessly linked to and used in conjunction with a LightwaveRF Thermostat (LW921) which monitors the home temperature and reports it to the App. This replaces your current stat (if you have one). For App control, as with all LightwaveRF products, you will also need the Lightwave Link. 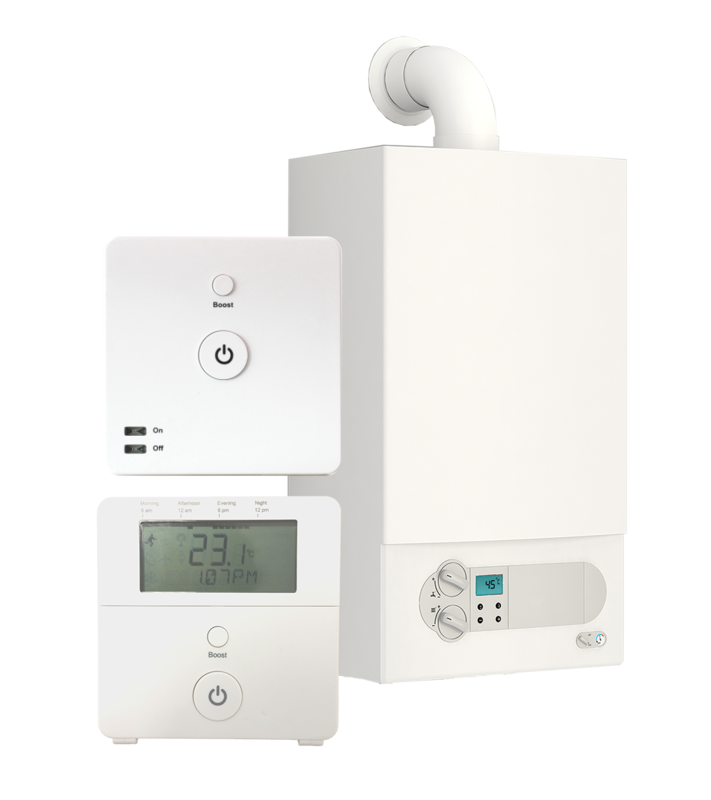 The boiler switch can be fitted to the vast majority of heating systems, including standard combi boilers (most common), s-plan or y-plan systems. In most cases it requires a simple 2 wire connection to the standard terminal where an existing room thermostat would be connected. Installation is quick, and a DIY approach is perfectly achievable. You do not need to interfere with the gas supply or any critical functions of the boiler; you simply need to locate the room thermostat connection (full instructions in the manual). If you are uncertain, however, make sure that you consult a heating engineer or electrician familiar with these connections. A multizone system means that there is more than one heating circuit. This is common in newer houses which have separate upstairs and downstairs heating control. You can remotely control both zones independently with LightwaveRF. On an existing multi-zone system (usually designated as ‘s-plan plus’), you can use a boiler switch and accompanying thermostat for each zone. Note: the switch only controls the heating and does not interfere with hot water. Once the Boiler Switch is powered and linked to the Home Thermostat, the stat is ready to be positioned wherever is desired in the home. 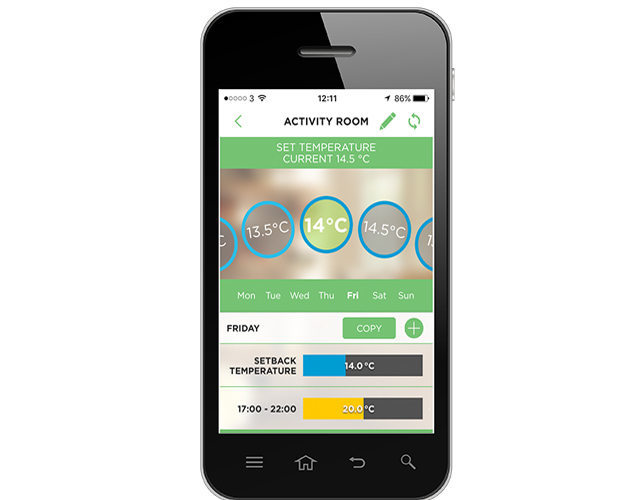 The house temperature can be monitored and the boiler scheduled to come on at times and temperatures that you set on the App. You can also set real-time temperatures at anytime from anywhere. Turn your heating off when you are out late to save energy and money. The Home Thermostat acts as a handy wall mounted manual control working in conjunction with the App. It too can set temperatures and schedules.